What Is International Skilled Worker Category? This category is for people who want to work and live in Saskatchewan. Through this category, the Saskatchewan Immigrant Nominee Program (SINP) can nominate skilled workers who want to work and live in Saskatchewan. That means, SINP can select the candidates who are interested in migrating to Saskatchewan. 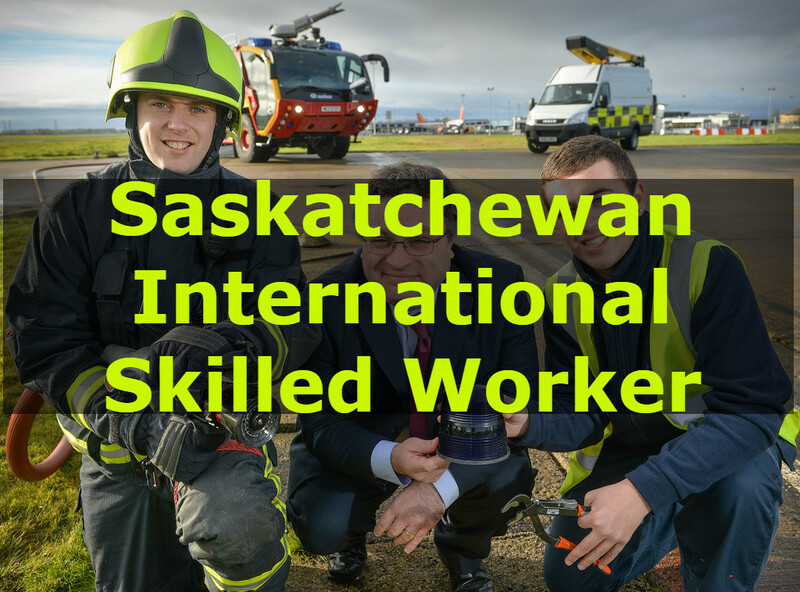 Who Can Apply For Saskatchewan International Skilled Worker Program? This sub-category is for those skilled workers who have a job offer for skilled occupation in Saskatchewan. Thus candidates who are skilled and have experience will be nominated for immigration to Saskatchewan through this sub-category. In point assessment grid of Saskatchewan Immigrant Nominee Program (SINP), a Candidate must score 60 points out of 100. Candidate must have one-year work at least, in his or her past years in an intended occupation. Candidates score in Canadian Language Benchmark (CLB) must be at least 4. If the intended occupation is in a regulated profession or compulsory apprenticeship trade, a candidate must have a proof of Saskatchewan licensure. Candidate must be having an offer letter of permanent full-time, employment in Saskatchewan. Skill Type 0 (zero): These jobs are management jobs, like restaurant managers, mine managers, shore captains (fishing). Skill Level A: professional jobs that usually call for a degree from a university, like Doctors, dentists, architects. Skill Level B: The category includes technical jobs and skilled trades that usually call for a college diploma or training as an apprentice, like chefs, plumbers, electricians. This sub-category is for all those candidates who are highly skilled in an in-demand occupation but have not received any job offer from the employer of Saskatchewan. Candidate must have completed post-secondary education, training or apprenticeship and that must be comparable to the education system of Canada. Candidate must have proof of the same like diploma, certificate or degree of at least one year. If a candidate has degrees and diplomas that are obtained from outside of Canada, then the candidate must have an Educational Credential Assessment (ECA) from a designated organization as per IRCC’s list of approved organisations. Candidate must have proof of professional status or licensure, settlement funds and a settlement plan. This sub-category is for the candidates who applied for immigration to Canada through an express entry that was launched by Immigration, Refugees and citizenship Canada (IRCC). In this category candidates who want to live and work in Saskatchewan and are in express entry pool. Candidate must be accepted into IRCC’s Express Entry Pool. Candidate must score a minimum of 60 points out of 100 points according to SINP point assessment grid. Candidate must perform language test results from a designated testing agency. These test result should match your information declared in Express Entry Profile. If a candidate has degrees and diplomas that are obtained from outside of Canada, then-candidate must have an educational credential assessment (ECA) from a designated organization as per IRCC’s list of approved organisations. Candidate must be having proof of professional status or licensure, settlement funds and a settlement plan. Connections and adaptability to Saskatchewan labour market. Above mentioned areas are used to determine if a candidate can qualify the International skilled worker sub-category or not. A candidate must provide all required forms and documents to prove that he or she is eligible for SINP nomination. Countrywide Visas is an immigration agency that specializes in Canada PR Visa. and many more immigration services. It is registered with Ministry of Corporate Affairs Canada is one of the most lucrative destinations in terms of Job and lifestyle. To get more information about, you can directly contact to us over the call by ringing us at 011-41075840 / 011-41045840 or by leaving a mail on our email id at info@countrywidevisas.com. You want to inquire about the Best Canada PR Visa consultants in Delhi or want to make your case in high priority then directly Fill Technical Assessment Form for free.